The Beatles 50 Years Ago Today: January 3, 1967. Beatles Radio: The Beatles, Solos, Covers, Birthdays, News The Fab 4 and More! 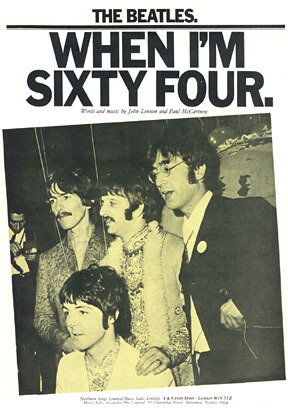 Tape to Tape copies of "When I'm Sixty-Four" and "Strawberry Fields Forever" had been made for dispatch to the USA.